The film Rebel Queen tells the remarkable story of the last Sikh ruler of Lahore – a fearless Maharani who waged two wars against British rule in India. She is an inspiring figure for young Asian women today. An Indian woman wearing a crinoline over her traditional clothes, and emeralds and pearls under her bonnet, walks in Kensington Gardens in 1861. She is the last Sikh queen of Lahore, the capital of the Punjab empire, and her name is Jindan Kaur. She died two years later, in 1863, and was buried in west London. Maharani Jindan Kaur's life – much of which was spent raging against the British empire for cheating her out of the Punjab, then a vast country stretching from the Khyber Pass to Kashmir – is the subject of a film called Rebel Queen, which premiered at New York's International Sikh film festival and is set to be shown in the UK in February. Her revolt began when her husband, the last Maharaja of the Punjab, died of a stroke in 1839 and the British tried to wrest the kingdom from the heir to the throne, her infant son, Duleep Singh. During her rule as regent, Jindan waged two disastrous wars against the British that led to the annexation of the Punjab. She may have made huge strategic errors due to her military inexperience and young age (she was in her early 20s), but Jindan was a fierce ruler. British historian Peter Bance describes her as a "very gutsy woman". "She stood her ground against the British . . . she actively took charge of the Punjab." 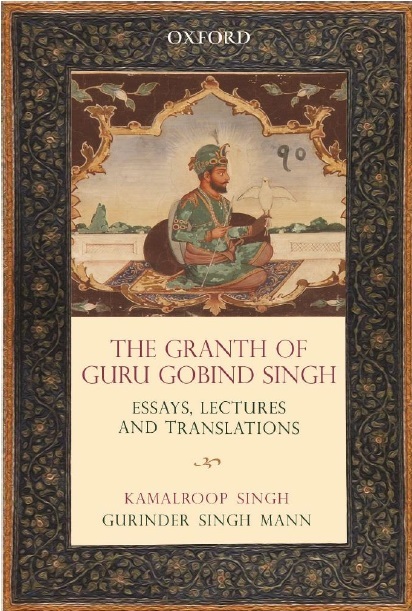 Professor Nikky-Guninder Kaur Singh of Colby College, Maine, US, says: "She was remarkable in how she discarded sati and purdah, dominant at the time, and led the courts, had meetings with chief ministers and the armies. All of them were taking her counsel." Christy Campbell, author of The Maharajah's Box, a book about the Maharani's son, Duleep, says Jindan was "one of the most remarkable characters of 19th-century history, let alone Indian or Sikh history". This is despite the fact that much of what is known about her is "through the words of the British, who regarded her as a threat to their power in India and therefore did their best to make her reputation as bad as possible". The Maharani was described as "a serious obstacle" to British rule in India. They launched a smear campaign to discredit her, painting her as the "Messalina of the Punjab", a seductress too rebellious to be controlled. She refused to co-operate and the British saw that her influence on Duleep could lead to an uprising among the Punjabi people. They decided to separate mother and son. Nine-year-old Duleep was taken to England where he converted to Christianity, living the life of a typical English gentleman, with Queen Victoria among his friends. The Maharani Jindan, however, was dragged from the court of Lahore by her hair and thrown into the fortress of Sheikhupura and then Chunar Fort in Uttar Pradesh. After being imprisoned, she disguised herself as a servant and escaped the fort. She travelled through 800 miles of forest to reach sanctuary in Nepal, where she wrote a letter boasting to the British that she had escaped by "magic". She never regained the kingdom for her son. But they were reunited years later, which prompted the Maharajah to convert back to Sikhism, undoing the work of the British to "brainwash" him. Her story encouraged American entrepreneur Bicky Singh to fund the production of Rebel Queen with around $25,000 (£15,500). Director Michael Singh, a California-based film-maker, says: "There's great drama and tragedy in her story. She was a heroic figure and was well-documented by the British. There are not a lot of documented women in Sikh history. [At the same time], her son corresponded with Queen Victoria, which makes the story more relevant to the casual viewer." According to Singh, Jindan is a symbol of indignation and injustice, but also of the failure of the Sikhs to retain their kingdom. "She has an iconic status," he says. "She was the last one to stand up to the British." When I saw the film, I was struck by how little I knew about my heritage. Growing up in a Punjabi Sikh household in east London, I looked up to my hard-working and honest parents, but when it came to who I wanted to be, I built a composite from American girl detective Nancy Drew, TV FBI agent Dana Scully and Bruce Springsteen. All of these individuals pushed against barriers into a world of possibility, something I rarely found in my culture. But where were women like Jindan Kaur? Jindan was complex, cocky, clever, imperfect and tough, and she connected me to my ancestral past, something Nancy, Dana and Bruce could not. After watching Rebel Queen, I felt like a link to my past that had lain neglected had been rekindled. Numerous south Asian female artists have documented the struggles of British Asian identity, including Gurinder Chadha, Meera Syal and Shazia Mirza. Struggles of displacement need to be documented, but there are not enough stories like Maharani Jindan's, about what had happened before my family had to grapple with being Asian in a white society. Was I supposed to start from my parents' immigration to England in the 1970s? Couldn't the example of Maharani Jindan give me the inspiration to make sense of my present day-to-day life? In England, there is a prevalence of perceiving south Asian women in the context of "honour" killings, forced marriages, domestic violence and foeticide – all serious issues that need to continue to be fought against. We also have the Asian Women of Achievement awards, but those women do not always permeate the media, art or history books that young girls may be absorbing. In terms of what that leaves young British Punjabi Sikh or south Asian girls as role models, it is not exactly aspirational. Artists Rabindra and Amrit Singh say: "We definitely need to . . . counter the negative stereotyping that so many of us grew up with . . . [This will come] from a better knowledge and pride in who we are, which involves looking to the exemplary, too often hidden figures in our history." There are other inspirational heroines about whom there is little research. Mai Bhago was a devout warrior saint in the army of Sikhism's 10th prophet, Guru Gobind Singh Ji, in the 1700s, who led men into battle. There is also Bibi Dalair Kaur who rallied 100 women Sikh soldiers to fight the Mughals in the 17th century. Inspiring figures are not limited to Sikhism or Punjabis. In the early days of Islam, Ayesha (Aishah), the prophet Muhammed's wife, rode at the head of an army against Khalif Ali, whom she felt was usurping her late husband's authority. Later, Muslim writers such as Rokeya Hossain also emerged. She wrote a science-fiction story called Sultana's Dream in 1905, about a female utopia in Bangladesh where women dominate the public sphere. Perhaps the most well-known female warrior in India is Lakshmibai of Jhansi, a hindu queen who also fought British rule. She was a firebrand, recognised in Indian history books, but became better known through the media. One can only hope the same will be said for Jindan Kaur.